"You've finished your report, presentation, or cost analysis using a Microsoft Office program. The information is rich with data and detail. Now comes the final step: printing it and showing the world your hard work on paper. This is the point at which printing can give you a headache. Right when you want to wrap up your work, project, or school assignment, questions start popping into your mind"
To check on the latest version of a piece of software, you can poke around Tools, Tasks, About or some other menu. It will show you updates for programs you forgot you ever installed. It's a simple download app that is not "installed". John Barnett has a nice site with over 100 good WinXP solutions. A favorite trick of spyware programs is to make changes to the Registry. They attempt to do this in the background without your knowledge. WinPatrol is like having a guard dog on duty to warn when intruders are skulking about. "BillP Studios announced today that results of recent tests show WinPatrol PLUS with R.I.D. will detect 100% of the top spyware threats on a Microsoft Windows-based PC. Recent results by independent testers confirmed WinPatrol's "Real-time Infiltration Detection" methodology is effective in alerting users to newly installed software." "WinPatrol takes snapshot of your critical system resources and alerts you to any changes that may occur without your knowledge. You'll be removing dangerous new programs while others download new reference files. WinPatrol isn't the only software we recommend for complete safety but with Scotty on Patrol you'll find yourself informed on what's going on inside your computer. WinPatrol puts you back in control of your computer so you'll know what programs are and should be running at all times." " Have you ever tried to shut down Windows, only to have the shutdown sequence hang, or to have the computer reboot instead of shutting down? Shut down problems are one of the most common types of problems with the Windows operating system. At the same time though, they are also one of the problems that is most seldom resolved because shut down problems tend to take a back seat to more serious issues. Troubleshooting operating system shut down problems is easier than you might think though. In this article, I will share some techniques with you that you can use to resolve shut down problems on machines in your office." "A virus is a type of program that can replicate itself by making (possibly modified) copies of itself. The main criterium for classifying a piece of executable code as a virus is that it spreads itself by means of 'hosts'. A virus can only spread from one computer to another when its host is taken to the uninfected computer, for instance by a user sending it over a network or carrying it on a removable disk. Additionally, viruses can spread to other computers by infecting files on a network file system or a file system that is accessed by another computer. Viruses are sometimes confused with worms. A worm, however, can spread itself to other computers without needing to be transferred as part of a host. Many personal computers are now connected to the Internet and to local-area networks, facilitating their spread. Today's viruses may also take advantage of network services such as the World Wide Web, e-mail, and file sharing systems to spread, blurring the line between viruses and worms." Here are a couple of areas to look at if your machine slows down for no obvious reason. Do the three finger Vulcan salute (Ctrl+Alt+Delete) to bring up the Windows Task manager. If you see a level 100% on the performance tab try these possible solutions. If you see near 100% CPU activity on the Processes tab by an "Image name" of Cisvc.exe, you might want to turn that service off. Description: Microsoft Index Service Helper, a service that monitors the memory usage of Microsoft Indexing Service (cidaemon.exe) and automatically re-starts cidaemon.exe if it uses more than 40 MB of memory. It's needed if you've set up any of your drives or directories to be indexed. Without it running, you could potentially invite a memory "hole", as the indexing service would not clear its RAM usage, as it goes. 3. Click on the Name label to sort by Name. Locate "Indexing Service". Double click. When you print on an LPT printer port, 100 percent CPU usage occurs until the print job is completed. This slows down other programs until the print job is completed. In some case, other programs may slow down enough that they seem completely unresponsive. This behavior affects all power users who have many programs running at one time. This behavior occurs because Windows 2000/XP does not have interrupt support for LPT printers. To work around this behavior, print to a Universal Serial Bus (USB) printer port. If the printer does not have this capability, use a parallel-USB cable. Even though Windows is close to perfect, there are times when it announces that Windows Explorer has failed. This leaves you with a screen and no way to take action, except to reboot the machine. 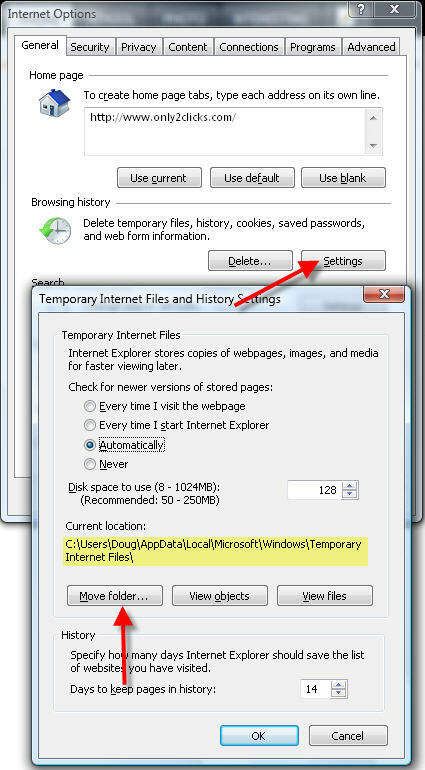 Here's how to restart Explorer.exe from the Task Manager. There is also a short video for demonstration. It happens. Your machine balks and spits out an obscure warning message. You grab a pen and scribble out the error code, which typically is 90 characters long. When the warning box appears, just hit Ctrl+C. The contents of the box are now on the Clipboard and can be pasted into Notepad. 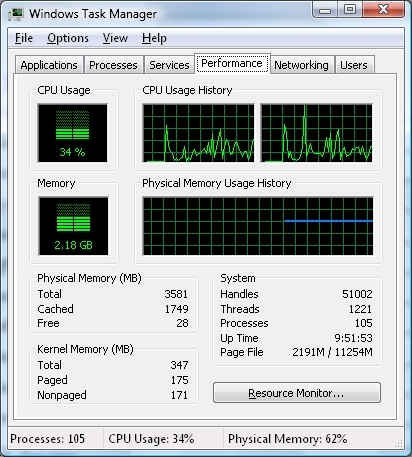 OK, you have Vista Ultimate, you have a fast machine, but never satisfied you decide to cram it with RAM. You sweat through installing the chips in these stunted cases manufactures use today. You switch on the box and . . . What? Only 3451 MB is showing. A 32 bit machine can only use about 3500 megs. Shades of the old 640K barrier. Where's my 4 Gigabytes of RAM? Have you clicked on a link and had a PowerPoint or Word document open in Internet Explorer, rather than in the application it was designed for? 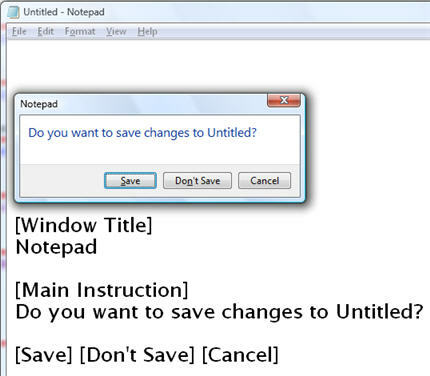 Open Word files directly in Word not in IE. If you have trouble with slow startup, shutdown, logon, or logoff, you might try this procedure. This setting allows you to configure Windows so that you receive verbose startup, shutdown, logon, and logoff status messages! To enable verbose status messages create a new DWORD value called "verbosestatus" and set it to "1". In order to see the messages, an additional value called "DisableStatusMessages" should be set to "0".